A lighthearted musical, Broadway Melody Of 1940 sparkles whenever Fred Astaire and Eleanor Powell join forces on the screen. The unforgettable partnership between two of Hollywood's greatest ever dancers is electric, and elevates the film far beyond the confines of its limited plot. Johnny Brett (Astaire) and King Shaw (George Murphy) are a pair of struggling dancers, stuck in a cheap dance hall routine and beginning to lose hope of ever being discovered. Producer Bob Casey (Frank Morgan) does indeed spot the talented Johnny, but through a case of mistaken identity it is the more ponderous King who is scooped up into the big time and a leading man role in the new stage show starring superstar Clare Bennett (Powell). King is star struck by all the media attention, and hopelessly falls in love with Clare, who is just playing the usual publicity game by hitting the hot nightspots with her new co-star. Clare soon notices Johnny hanging around as King's sidekick and dance coach, and a romance blossoms between them, interrupting preparations for the new show and causing endless headaches for director Bert Matthews (Ian Hunter). Powell was one of the few dancers to match, and indeed better, Astaire's remarkable fluidity. A stupendous tap dancer, she appeared more effortless than Astaire, a remarkable feat that was never matched by any of Astaire's other dance partners. 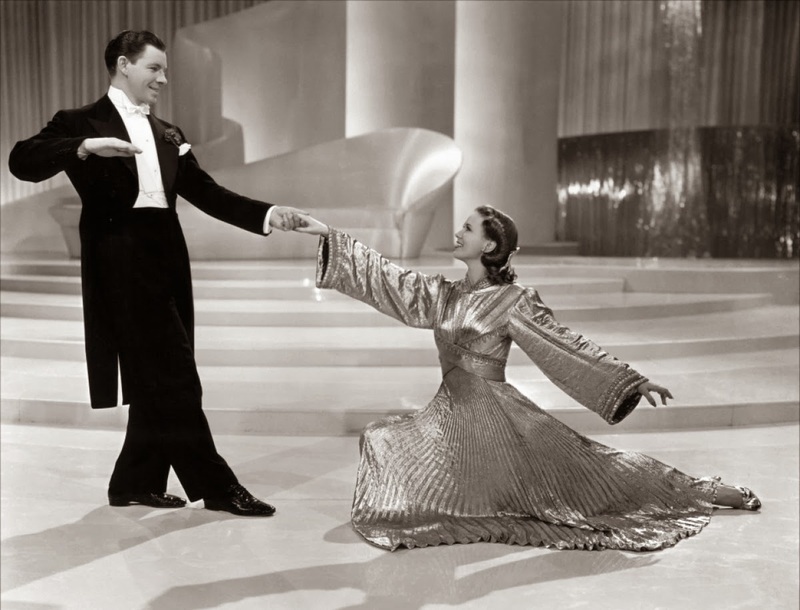 In Broadway Melody Of 1940 they share two moments of sheer brilliance. In the first they get to know each other by tap dancing up a storm to a jazzy jukebox number in a casual cafe. It's a carefree performance choreographed to perfection, Powell incredibly attracting attention away from the normally imperious Astaire. But their second dance to Begin the Beguine at the climax of the film set a standard that has rarely, if ever, been matched. For seven minutes (with a brief interruption for a costume change), Astaire and Powell create pure screen tap dance magic. The first portion is more lyrical and classical, with a Spanish flair. After they come back in matching white outfits, Powell in a simple dress and Astaire in a formal tux, they crescendo to a music-free tap duel that ends in a series of dizzying spins, an exclamation point to highlight two performers at their breathtaking peak. The rest of the film has plenty of dances, some comedy, and a relatively routine story of friendship, mistaken identity, misplaced love, jealousy and atonement. Director Norman Taurog keeps the fun moving along and focused on the next musical number, the emotions conveyed through obvious broad brushes, and none of the characters demanding much in the way of depth. George Murphy as King serves the purpose of being good but not nearly as good as Astaire's Johnny, a case of handsome looks and imposing physical presence being no match for talent under the glare of Broadway's lights. Frank Morgan and Ian Hunter enjoy their comic relief roles, Morgan particularly memorable for using a fur cape to attract, but not retain, a series of blonde dates. 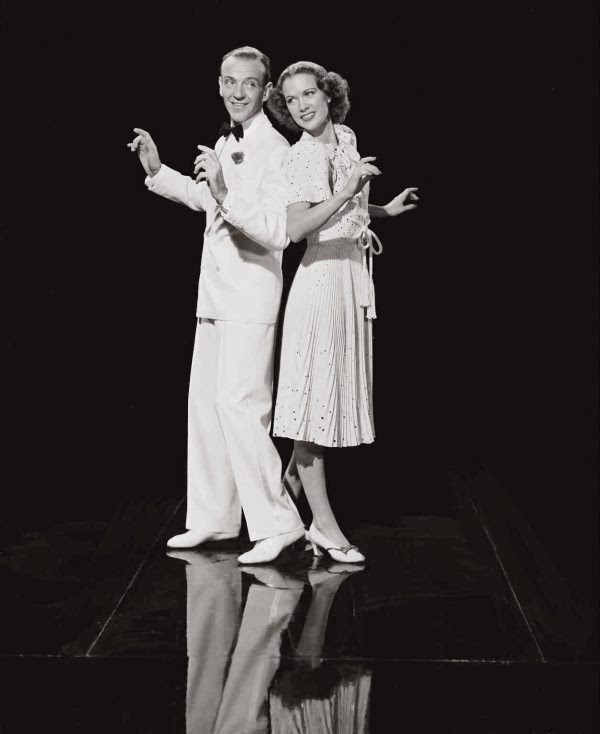 As this would prove to be the only time that Astaire and Powell danced together on-screen, Broadway Melody Of 1940 is ultimately the film that captured lightning in a bottle.